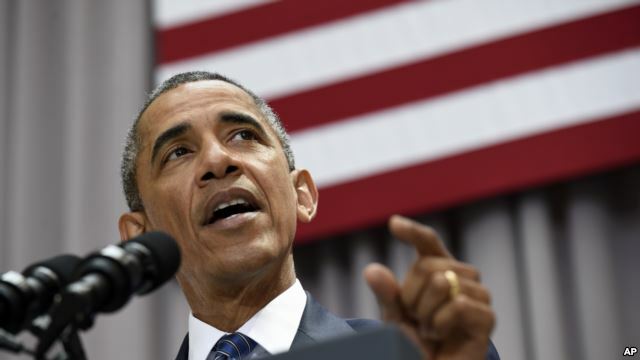 U.S. President Barack Obama is set to participate in a live webcast Friday to address concerns from the American Jewish community about the nuclear agreement with Iran. Obama will deliver remarks about the disputed deal signed by the United States, Iran and five world powers and take questions from participants. The webcast is being organized by two major Jewish organizations that have held similar events with Israeli Prime Minister Benjamin Netanyahu and U.S. Energy Secretary Ernest Moniz. Obama's sanctions chief, a top U.S. Treasury Department official who helped negotiate the accord, is scheduled to arrive for a three-day visit in Israel Friday just hours before the president's webcast. The Israeli government strenuously opposes the agreement, which seeks to keep Iran from building a nuclear bomb in exchange for international sanctions relief. Adam Szubin, the U.S. acting under secretary for terrorism and financial intelligence, will defend the nuclear containment deal and try to reassure Israel's government and public that the United States is ready to impose tough financial penalties on Tehran for its sponsorship of terrorism and support for military proxies. A U.S. Treasury Department spokesperson said Szubin will meet with Dore Gold, director-general of Israel's Foreign Ministry, National Security Adviser Yossi Cohen and Energy Minister Yuval Steinitz, who has been a leading voice against the Iran deal. Critics say the agreement makes too many concessions and could eventually allow for a nuclear-armed Iran. Obama counters that the deal contains the most comprehensive inspection and verification regime ever negotiated to monitor a nuclear program. The agreement faces a vote in Congress within weeks.